Taping Your Feet For Martial Arts | Handful of Health | Health, Fitness and Happiness, one handful at a time. I’ve got plenty of problems when it comes to martial arts. My thai kicks are lame, I get asthma attacks, and I can’t wear glasses with a sparring helmet on (plus, I don’t have contacts), so for me, sparring’s like that scene from Star Wars with Luke and Obi-Wan. I hear this is pretty common, both for martial artists who rotate on the balls of their feet for kicks (thai kicks, roundhouse kicks, hook kicks, wheel kicks) and for dancers. And yet it still took me like two years to find a solution that worked for me. These didn’t work. This didn’t work. I finally found this amazing sports tape on my coach’s suggestion, but it still would roll at the edges and eventually stick me to the mat. I was flummoxed. 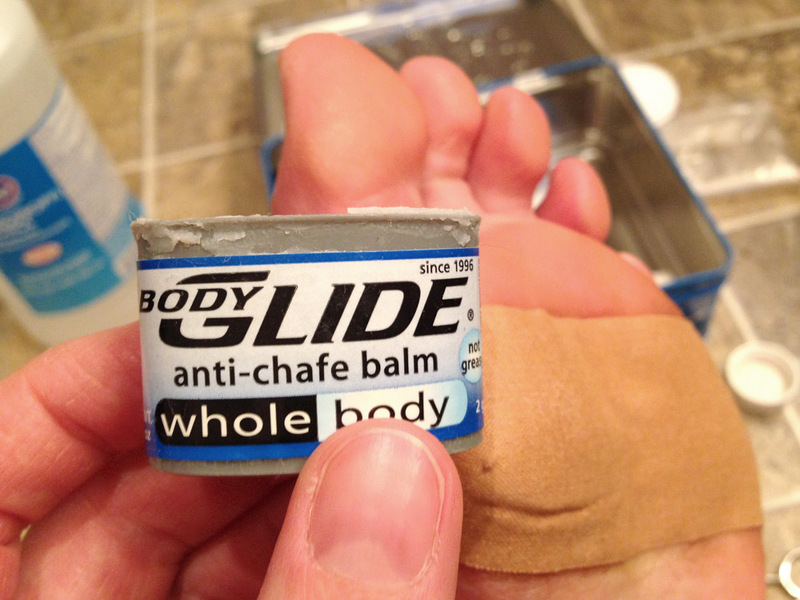 Until my coach mentioned… tape adherent! So let me show you an excellent method for taping the balls of your feet for sports that require pivoting on the balls of your feet. For the absolute best result, start this process the night before. Clean your feet. I take a shower and scrub them well with a scrubby cloth and soap, but you could also use some rubbing alcohol to get any crud off your skin. Apply the compound tincture of benzoin to the entire area you’ll be taping, past the edges of where the tape will go. For the balls of my feet, I like to do one long strip that goes from the big toe side of my foot to the pinky toe side of my foot. 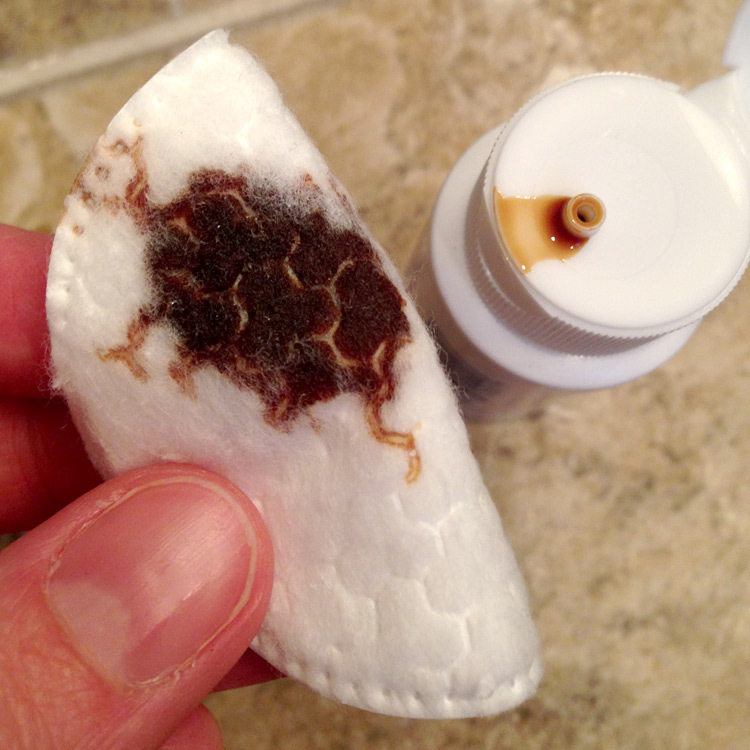 It’s ok to apply the benzoin to damaged skin (one of its labeled uses is to protect cold sores), but if you’ve got a doozy (or a blister) you probably want to use a littleNeosporin and a small strip non-stick gauze to go underneath the tape layer. Wait a couple minutes for the benzoin to get tacky. If it’s not tacky enough, you can dab a little more on there, but be careful not to wipe the existing layer benzoin off with fresh benzoin. 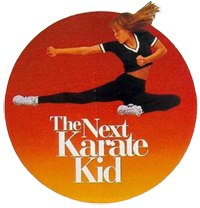 And yes, it does smell pretty terrible, but it’s worth it for great roundhouse kicks. Once it’s tacked up, apply your strip of tape.Leukotape is slightly stretchy, sotry and get good, smooth edges. You should cut the edges to be round, rather than square. These edges should go just slightly south of your big toe and pinky toe, respectively — you want as few edges as possible to be exposed to pivoting forces. 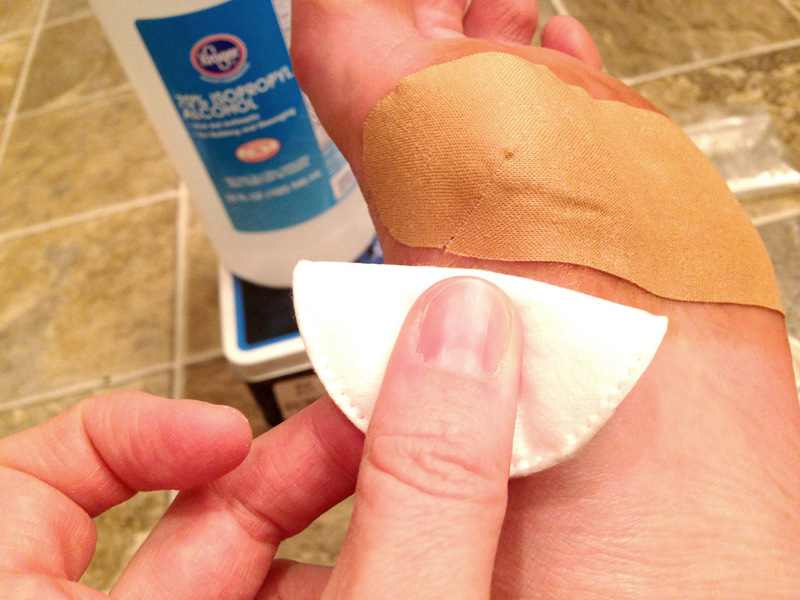 After this is applied, you can use rubbing alcohol to remove anytackiness around the edges of your tape (so your foot doesn’t stick to the mat). Optionally, you can use a wee bit of Body Glide or a similar product on the edges of the tape that tend to roll the most — but not too much, or you’ll slip-n-slide all over the place. Important! Leukotape’s adherence improves with body temperature. So rub the tape on good with your hands, put on fuzzy socks, sleep in the tape, wear shoes for a little bit before you go out. It makes a difference. Here’s what my tape looked like after a 2-hour conditioning and kicking workout (where literally every kicking drill focused on the correct pivot/chamber combo for three different kicks), followed by walking through 2″ of snow inflip flops, followed by my red senior belt test. And thus concludes my tutorial! Go forth and be awesome. Let me know if you have a taping technique that works for you, and I’d love to hear from you if you try my method out, too! 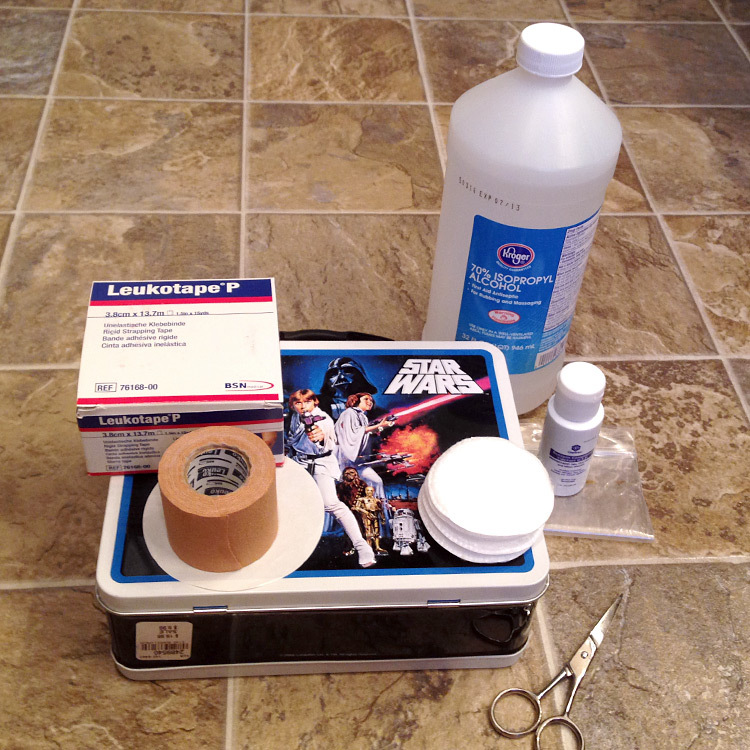 This entry was posted in Fitness, Martial Arts and tagged star wars, taping. Bookmark the permalink. I’ve got a dry right foot that would’ve made me a dance sensation during the Disco years. I’m testing this weekend I’ll be giving this a try.